Feedback – the Candy Crush Way! If you have lately been unproductive, there is a good chance that you are addicted to Candy Crush. Well if it’s any consolation, you are joined by millions of others around the world. If you need more consolation, the addiction was recently a multi-page article in TIME magazine. For those of you who are living in caves, Candy Crush Saga is an online game available on mobile and web platforms. 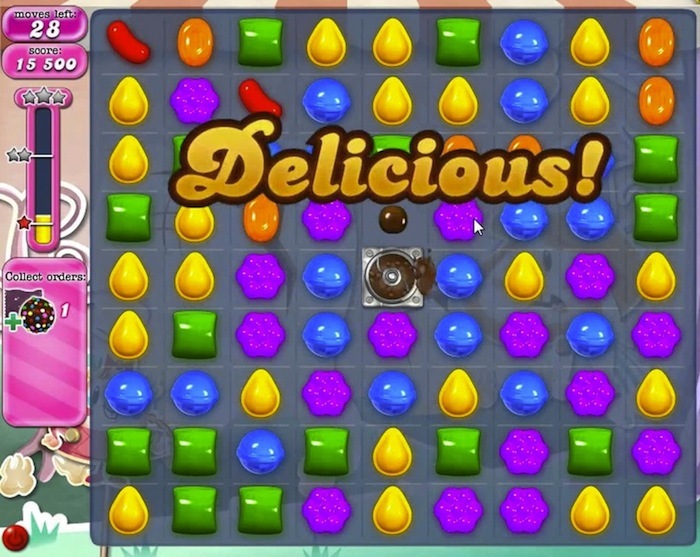 It has various ‘levels’, each level cleared by busting three or more same colored candies present adjacent to each other on a grid. Your mission is to complete the level by busting candies to meet a particular target in a finite number of moves. Seems simple – so why the addiction? Well the addictive stuff is generally not complicated. It’s just well – addictive. Candy Crush is addictive because it has a brilliant gameplay, offers incentives, seduces you by making you wait, makes you strategize and think multiple moves ahead and gives instant gratification and feeling of progress as you play. It’s a brilliant case study on how a relatively simple concept can turn into a great product – and business – by doing the basics right and focusing on customer psychology and behaviors. One aspect of Candy Crush that struck me from reading the TIME article was how the game gives the player feedback – and why that is critical. We love instant feedback. We love to find out how are we doing. What is working and what is not, what is good and what needs to be changed. It gives us a feeling of comfort and certainty – even if the feedback is negative. More importantly it directs us on our future behaviors. “Feedback is the breakfast of champions”. Feedback, while based on an event of the past, is primarily an instrument for the future. Whether it is the ‘Delicious’ feedback as you bust a complete row in Candy Crush, or its grooming your future leaders, regular, relentless and focused feedback is fuel for progress. What is the biggest amiss in today’s organizations is complete lack of any feedback – at-least timely and focused feedback. This is more profound and has bigger consequences for knowledge workers, as most of what they are producing is not an immediate tangible – unlike what a factory worker would be doing. While it is important for a leader of knowledge workers to be non-intrusive, it is important that he interjects on a regular basis giving feedback – affirming or adjusting the behaviors. Waiting for end of the year appraisals or an external forced feedback like customers reviews is not only late but also ineffective and even counterproductive. Feedback is critical to success of any leader. That is how he communicates to and guides his people. It is part of what great leaders do day in and day out. It is not an activity scheduled on calendar for the quarter. Now that I am done, feel free to go back to your Candy Crush – your 30 minutes wait may be up or your Facebook friends may have taken mercy on you! This entry was posted in Management, Productivity. Bookmark the permalink. Definitely a very important point. I believe “Feedback and Appreciation” is something we lack culturally. Instead of waiting for the moment when something will go wrong, we need to make a habit of giving regular feedbacks and encourage others to do the same. Absolutely. Late feedback is even counter productive. You also bring up a very important point of cultural influenece. Thanks! Totally Agreed Ather Bahi, but its not just for the knowledge workers applies to almost every industry.